Simple Sticky Notes is a practical tool that enables you to create virtual sticky notes and "stick" them onto your Windows desktop. If you are one of those persons who need to write down everything to avoid forgetting things, Simple Sticky Notes will surely come in handy to you. 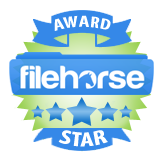 Our visitors at FileHorse.com recognized the quality and effectiveness of your product and have given it five out of five rating. 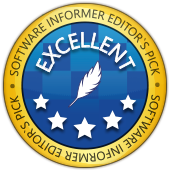 Also, Awarded FileHorse "100% Safe and Secure", which recognizes outstanding products that represent the best available choice in their respective industries. Simple Sticky Notes - impressive piece of software that lets you easily and quickly create and manage simple virtual sticky notes, right on your desktop. A really great tool, at the same time easy-to-use, friendly, effective and handy. Also free.